On the day the Padres acquired another top-flight prospect, they might have lost one for an extended period. Fernando Tatis Jr., the Padres' top prospect, left Double-A San Antonio's game against Frisco on Thursday after injuring his left thumb sliding into second base in the sixth inning and was placed on the seven-day disabled list on Saturday. Padres general manager A.J. Preller didn't sound optimistic about the potential diagnosis, telling MLB Network Radio on Friday, "We'll have more information this weekend. Right now, he's going to go for an MRI. He's had an X-ray. We'll look at potentially a fracture, potentially some ligament damage. We'll get a sense here coming out of the MRI this weekend. They want some of the swelling to go down, and we'll get an idea where it goes from there. ... He's probably going to miss some time though." The 19-year-old led off the game with his 16th homer of the season, then popped to shortstop to end the second inning. He was hit by a pitch leading off the fifth and was promptly caught stealing. After the tag, he grabbed his left thumb a couple of times before returning to the dugout. 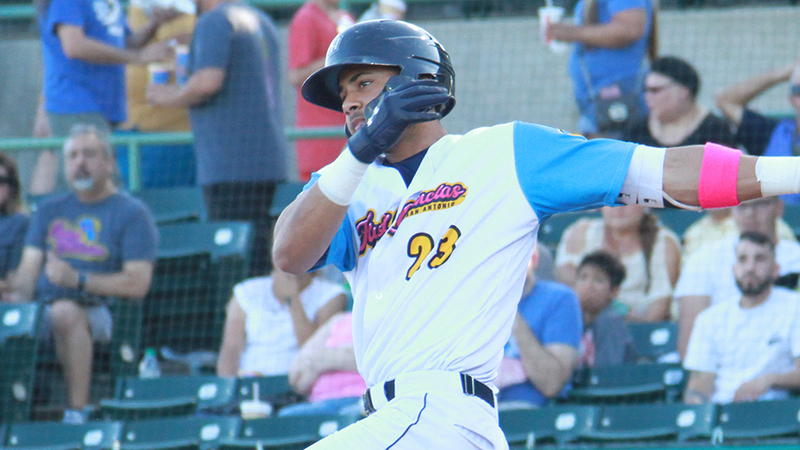 Tatis is hitting .286/.355/.507 and leads the Texas League with 179 total bases and 77 runs scored. He ranks second with 42 extra-base hits and is batting .327 since the end of April as the second-youngest player in Double-A behind only top overall prospect Vladimir Guerrero Jr.
Tatis represented the Padres in the Futures Game on Sunday in Washington, D.C., where he had two singles in five at-bats. San Diego had three players in the elite prospect showcase and added a fourth from that game earlier Thursday by acquiring Indians top prospect Francisco Mejia in a trade for relievers Brad Hand and Adam Cimber.